Most of the best cocktails are those that find ways to combine unexpected flavors in ways that are surprisingly delicious. Many of these drinks have a habit of combining sweet, bitter, and savory all at the same time, making them complex, exciting, and new. This is made even more apparent by the ever-growing list of flavored liquors, especially vodka. 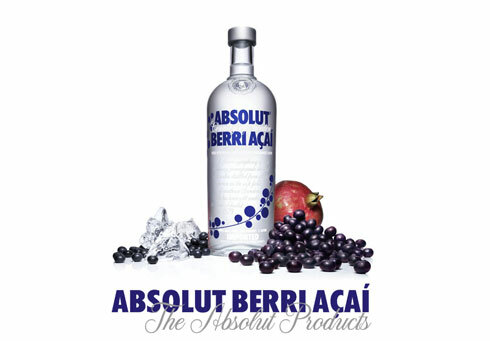 Absolut has put out a new flavor known as Absolut Berri Acai, a fragrant blend of acai berry, blueberry, and pomegranate. This vodka has just a hint of the berry flavors and a wonderful scent, making it ideal for more advanced, gourmet cocktail recipes. There is a drink that involves Absolut Berri Acai in a beautiful way, called an Absolut Berri Acai Berried. This drink is a delicious blend of Absolut Berri Acai vodka, creme de cassis, fresh basil leaves, ripe kiwi, fresh lime juice, simple syrup, and ginger beer. Don’t let the long list of ingredients intimidate you – the drink is surprisingly easy to create if you are careful in its construction. The result is a drink that is incredible refreshing and which tickles the taste buds with all sorts of tasty treats. The Absolut Berri Acai Berried is a perfect drink for any bar to offer on its menu, for any restaurant to temp patrons with, and for anyone with a bar kit at home who wants to impress guests at a party – or just treat themselves at the end of a long, hard day! 1. Chill a Collins glass by filling it with ice cubes and cold water. Set it aside while preparing the cocktail. 2. Add the Absolut Berri Acai vodka, creme de cassis, fresh basil leaves, ripe kiwi, fresh lime juice, and simple syrup to a mixing glass and muddle them together. 3. Add ice to the mixing glass, cover with a shaker, and shake the mixture vigorously until it is well frosted. 4. Empty the ice cubes and cold water from the Collins glass. 5. Strain the cocktail from the cocktail shaker into the chilled Collins glass. Top off the drink with the ginger beer. 6. Decorate the drink using the thin slices of ripe kiwi and a fresh sprig of basil as garnish. Serve and enjoy!